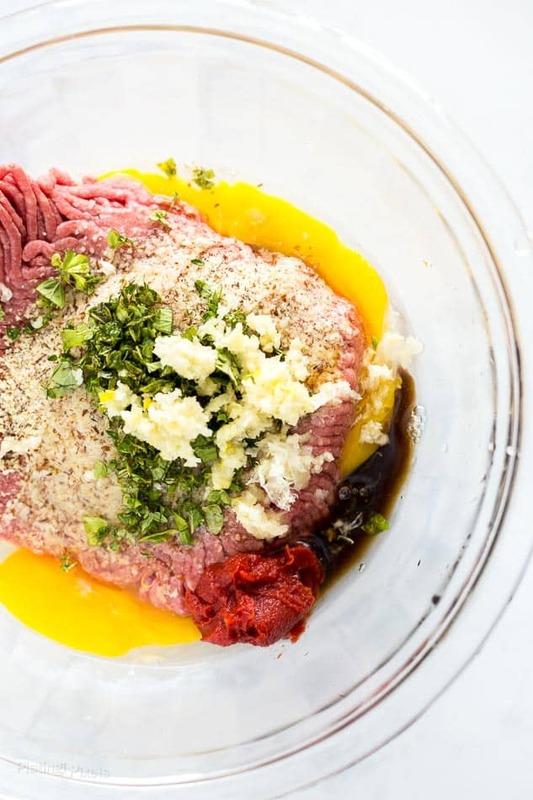 Did you know you can sous vide meatloaf? Learn How to Cook Moist Sous Vide Meatloaf with easy tips to make it moist, flavorful and perfect every time. 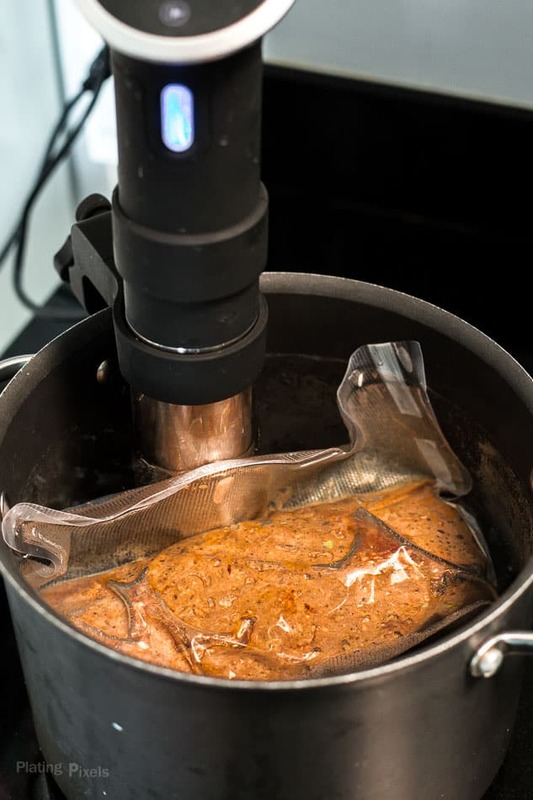 Sous vide cooking is one of my favorite methods of cooking meats. Even though this is my first sous vide recipe on the blog, I use it often and plan to post more sous vide recipes. 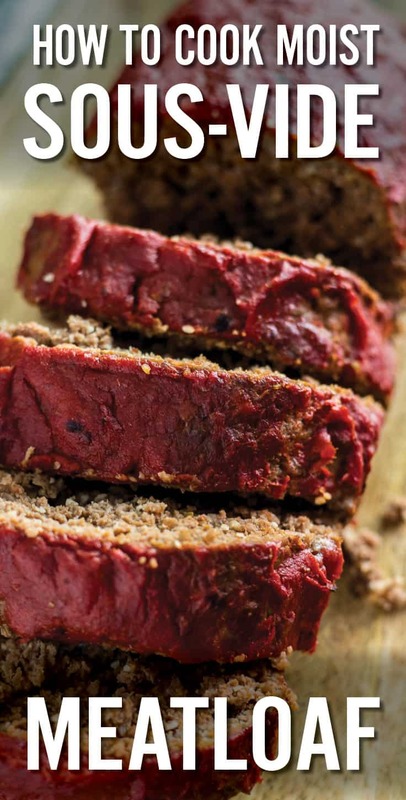 It’s a fun way to cook using technology and creates perfectly cooked meatloaf, every time. This Moist Sous Vide Meatloaf is a unique way to use the benefits of sous vide cooking. 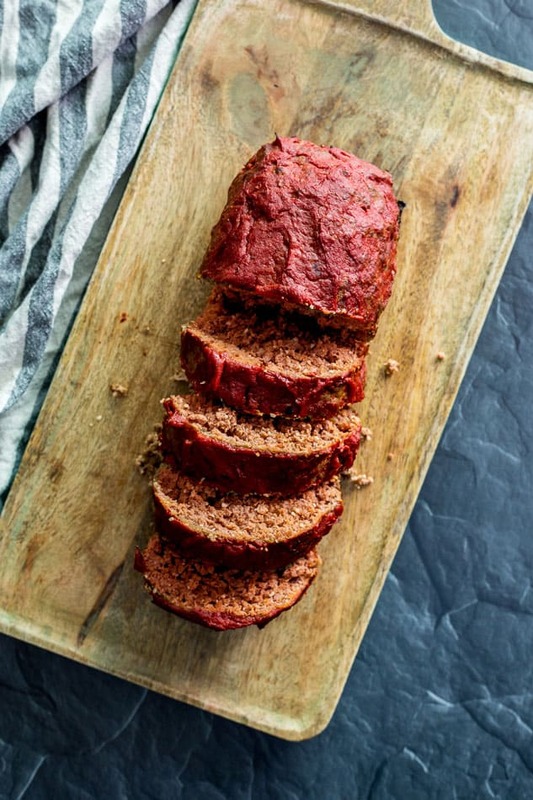 It takes a classic meatloaf recipe and transforms it with precision sous vide cooking. Cook with sous vide instead of in the oven. Meatloaf can be tricky to cook and keep moist. 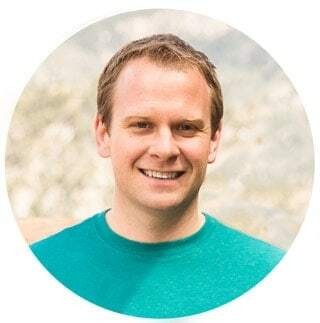 There’s a few key ingredients and tips that help, and I’ll share them in this post. 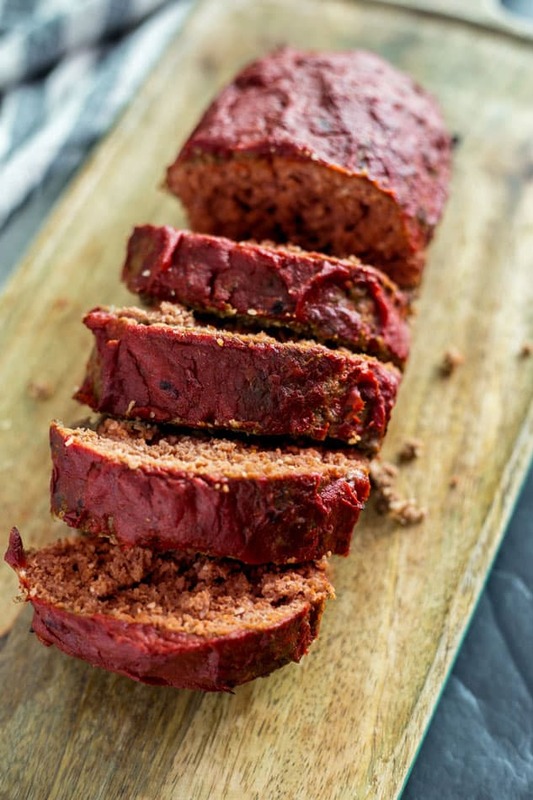 Traditionally meatloaf is baked in the oven. This requires careful watching and checking temperature often. Also, the cooking times can vary depending on the oven as well as the size of the loaf. Not so with sous vide, it cooks to the exact same temperature throughout at your set time, no matter the size or shape of your meatloaf. Sous vide uses a special kitchen appliance that regulates heat at a certain temperature. Food is placed in a water bath, usually a pot or large container, and keeps it at an exact heat for a set amount of time. Food is sealed in plastic, submerged and cooked in this bath. For example, if you want to cook a steak to perfect medium rare set it to 135° and let it cook for about an hour. If it goes longer, or the steaks isn’t uniform thickness, that’s fine since the heat never goes higher the set temp. This is the beauty of this method of cooking. Afterward, a quick sear on the stove or grill is recommended for extra flavor and texture, since this method of cooking won’t brown the meat. 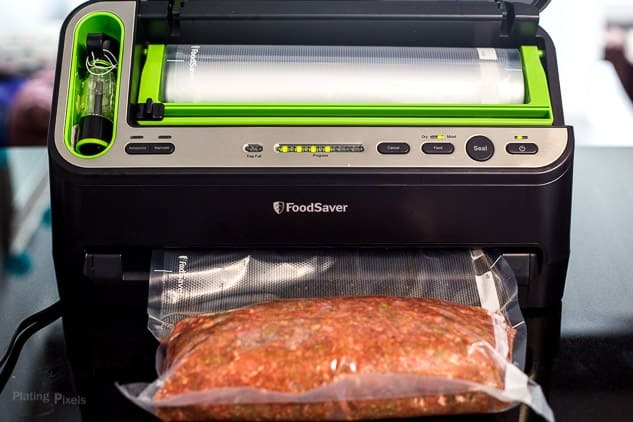 For this Sous Vide Meatloaf recipe, I used the FoodSaver V4440 2-in-1 Automatic Vacuum Sealing System. It removes air from the bag so that food is protected from the deteriorating effects of oxygen during storage and freezing. It’s also ideal for sous vide cooking to create even cooking as well as allowing it to submerge in water. The FoodSaver Vacuum Seal Rolls use unique multi-layer construction for durability and are BPA-free. They’re strong enough to go straight from the freezer to a hot water bath, with no separate defrost required. Designed to withstand even boiling temperatures, making them safe for sous vide cooking. Prepare sous vide machine in a large pot water bath and set to 153° F. In a small bowl, combine bread crumbs and milk to soak. Set aside. Heat oil in a non-stick pan to medium heat. Add celery and onion. Cook until fragrant and soft. Stir in garlic and cook 1-2 minutes more. Remove from heat and stir in seasoning and tomato paste. In a large bowl, mix together beef, sausage, bread crumbs, eggs, Worcestershire sauce, salt, and pepper until well incorporated. Mix in cooked veggies, then form into 2 rounded rectangular loaves. Place a loaf sideways into vacuum sealer roll/pouch with one end sealed. Cut opposite end about 4” from the loaf. Set the vacuum sealer to moist mode and seal meatloaf. Repeat for the other loaf. Submerge loaves into the water and sous vide 153° for 75 minutes, or until slightly firm and some clear juices have formed in pouches. Breadcrumbs and milk: Breadcrumbs creates extra space and air between the meat proteins, it also holds some of the fat from the meat. Otherwise, you’d be basically cooking a big burger. Soak them ahead of time in milk to create more moisture and volume. Mix in eggs: Adding eggs helps hold everything together. Add vegetables such as onions, celery, and carrots: This creates soft areas in the loaf as well. Cook them ahead of time to prevent crunchy bits. Cook using sous vide at 153° for 75 minutes: Instead of baking in an oven and risking overcooked meatloaf. The meatloaf will cook only to the set temp. Coat with sauce and broil: Since sous vide does not brown meats, adding the glaze and this step at the end will create a traditional coating that comes with roasting. Looking for more sous vide recipes? The Anova app has lots of recipes or browse their site for more sous vide recipes. 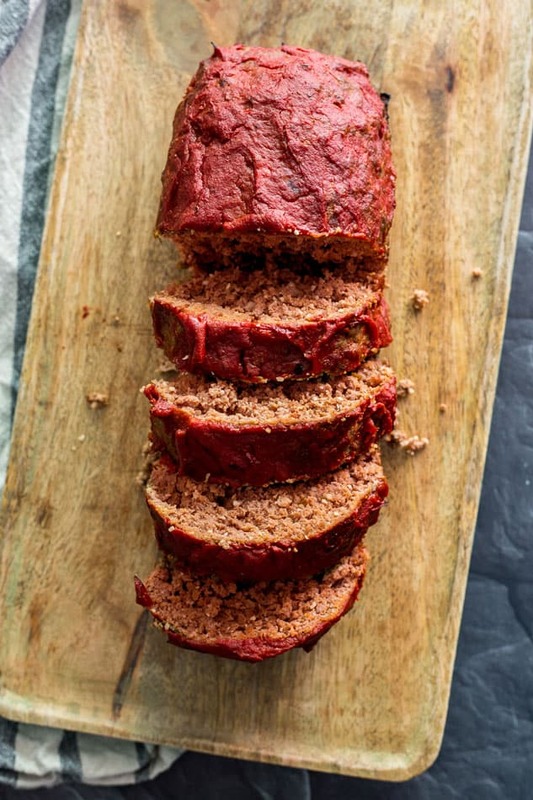 Learn How to Cook Moist Sous Vide Meatloaf with this easy classic meatloaf recipe. Cooked to moist perfection using a sous vide machine. Heat oil in a non-stick pan to medium heat. Add celery and onion. Cook until fragrant and soft, about 6-8 minutes, stirring occasionally. Stir in garlic and cook 1-2 minutes more. Remove from heat and stir in seasoning and tomato paste. Let cool slightly. In a large bowl, mix together beef, sausage, bread crumbs, eggs, Worcestershire sauce, salt and pepper until well incorporated. Mix in cooked veggies, then form into 2 rounded rectangular loaves. Place a loaf sideways into vacuum sealer roll/pouch with one end sealed. Cut opposite end about 4” from loaf. Set the vacuum sealer to moist mode and seal meatloaf. Repeat for other loaf. Submerge loaves into water bath and sous vide 153° for 75 minutes, or until slightly firm and some clear juices have formed in pouches. Remove from water and let sit 15 minutes. Open pouches, drain liquid and place loaves on baking sheet. Coat tops with sauce and broil 2-3 minutes until heated. Cut into slices and serve. Breadcrumbs and milk: Breadcrumbs creates extra space and air between the meat proteins, it also holds some of the fat from the meat. Otherwise you’d be basically cooking a big burger. Soak them ahead of time in milk to create more moisture and volume. Add vegetables such as onions, celery and carrots: This creates soft areas in the loaf as well. Cook them ahead of time to prevent crunchy bits. This how to cook moist meatloaf recipe is adapted from the Kitchn. I made meatloaf, sealed it, and put it in the freezer to thaw and cook for a later date. Have you cooked this from frozen before? Any suggestions on adjustments to temp and time? Hi Thomas. That’s a great idea. If you can plan ahead I suggest thawing first like you said. Otherwise from frozen should work. Temp would be the same but probably add 1-2 hours of cooking time. WOW! so simple, yet SO tasty! This is fantastic, yum. Thanks for the recipe. You’re welcome and thanks for the feedback Julia! Glad you liked the recipe. Matthew, this is such a delicious meal! I love making it for the family ! That’s wonderful Mariya! Thanks for the feedback and glad you like it so much! Matthew, it’s so yummy! 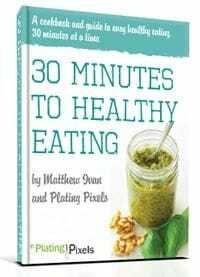 I love the step-by-step instructions, making it an easy recipe to follow! Thanks so much Alina and glad you liked the recipe! Thanks Alina and glad the tips made the recipe so easy to make! My mother taught me to add about 1/2 cup of finely diced tomatoes per pound of meat as part of my mix. They cook down to nice little pockets of savory moistness, and I’ve never had a dry meatloaf when doing this. Anyway, I’m doing my first sous vide meatloaf tonight. I’m a bit skeptical, but as they say; “no guts, no glory”, eh? Hi Gary. I totally agree and that’s exactly the ratio I included. Good luck and I’m curious how it goes! Thanks. I have never try meatloaf before but this will be my first experience trying out according to your recipe. Got my sous vide not long ago and haven’t really cook much since then. This will be something huge and awesome for me to try. Hope I get it right for first time. Thank you! Hi Dylan. I’ve really enjoyed my sous vide and everything I’ve made with it turns out great. Good luck and hope you like it!